I’ve benefited from a good dose of internal California breathing space after visiting Berlin last month. The city was long overdue for me to experience and this was my first chance. And my lasting impression is not of monuments, museums, concerts or one of the best bus systems on the planet. No, my memory remains fixed on one thing. Charming, grumbling, and usually laughing Berliners! 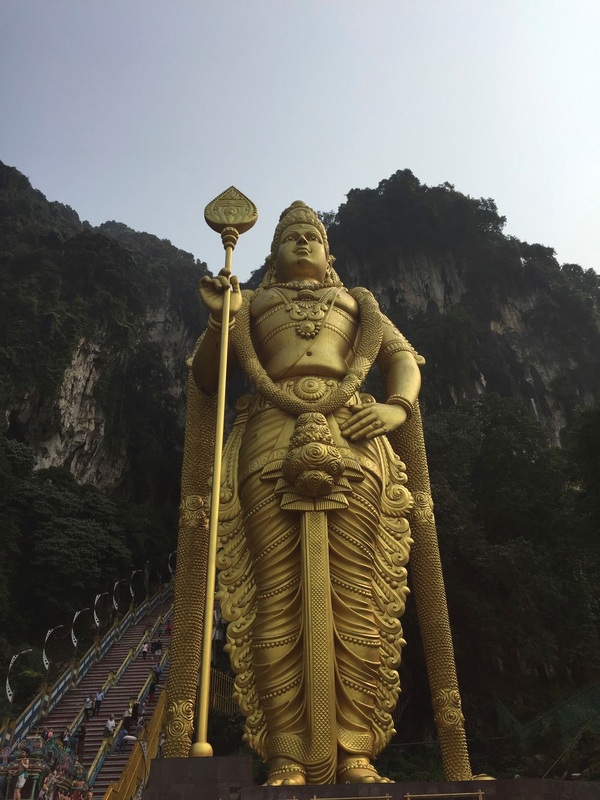 The imposing Lord Murugan at the Batu Caves. Cheyon, Senthil, Velan, Kumaran, Svaminatha, Saravanan, Arumugam or Shanumuga, Dandapani, Guruguha, Subrahmanya, Karitikeya, Skanda. Let’s just admit that Lord Murugan, the son of Shiva and the Commander of the Gods and Victory, goes by a lot of names throughout India, Tamilnadu, Kerala, Puducherry, Sri Lanka, Mauritius, Phillipines, Indonesia, Singapore, the surfing island of Réunion and Malaysia. With the inspiration of businessman K. Thamboosamy Pillai, the Batu Caves outside of Kuala Lumpur in Malaysia became identified with Lord Murugan in the early 1890s. Since 1892 the Thaipusam Festival in early January/February is celebrated here with endless throngs of worshippers crowding the 272 steps up to the top of the caves. The imposing statue of Lord Murugan was erected in 2006 and is the largest Hindu shrine outside of India. Climbing the 272 steps? Unforgettable.